In April 2010, Intel defined a multi-year data center transformation strategy: to run Intel data center services like a factory, affecting change in a disciplined manner and applying breakthrough technologies, solutions, and processes. Our strategy has enabled us to achieve world-recognized leadership in data center asset utilization efficiency while delivering quality of service and the lowest possible cost. From 2010 to 2016, our data center strategy has delivered USD 1.5 billion in cost savings. Quality of service (QoS) – do we meet growing customer demand and adhere to service-level agreements (SLAs)? We offer multi-tier QoS and meet specific performance-to-SLA requirements for defined tiering levels. Cost per service unit – are we cost-competitive and adhering to constrained spending targets? We strive to achieve a 10 percent improvement in data center cost efficiency every year. Note that this goal does not necessarily mean we will spend less each year, but rather that we will get more for each dollar we spend. Effective asset utilization – are we optimally increasing the utilization of infrastructure assets to increase operational efficiency? Our goal is to achieve 80 percent effective utilization of all IT assets, which include facilities, servers, network, storage, backup/recovery, and more. By optimizing on these three key performance indicators (KPIs), we identify the best achievable quality of service (QoS), the lowest achievable cost, and the highest achievable resource utilization with an assumption of unrestricted investment possibility. We call this combination the model of record (MOR) for that year. We then set priorities for the available investment based on these three KPIs to move toward the MOR goal; every year the gap between the MOR and the plan of record (POR) narrows as we make the highest return based on balanced investments in technologies, solutions, and processes. Disaggregated server innovation. Just as it makes little sense to replace an entire light fixture when all that is needed is a more energy-efficient and powerful light bulb, replacing an entire server does not make sense if all that is needed is a more advanced CPU and DRAM. Intel IT has developed a disaggregated server architecture—the first major server innovation since the introduction of blade servers in 2005—that separates the CPU/DRAM module and the NIC/Drives module on the motherboard. Redesigning the server to be modular enables us to upgrade the CPU/DRAM module while retaining the other components (such as fans, power supplies, cables, network switches, drives, and chassis) that are not ready for end-of-life. According to our internal tests, disaggregated servers can cut refresh costs by a minimum of 44 percent and can reduce technician time spent on refresh by 77 percent, while reducing the shipping weight and materials of full chassis by 83 percent. 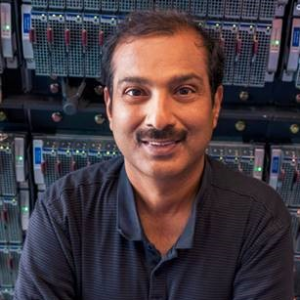 The ability to spend less time and money on refreshing servers means Intel IT can afford to refresh faster, bringing the most advanced Intel Xeon processor-based CPU technology into Intel’s data centers. Tiered storage. A five-tier approach to storage has helped us increase effective utilization of storage resources, improve our performance to SLAs, and reduce the total cost of ownership for Design storage. The tiers of Design storage are based on performance, capacity, and cost. Tier-1 servers have the highest performance and the least storage capacity. Tier-2 servers offer medium performance but greater storage capacity. Tier-3 servers provide lower performance but emphasize capacity, while Tier-4 and Tier-5 servers have the highest capacity but are used for low-frequency access and read-only archive data. 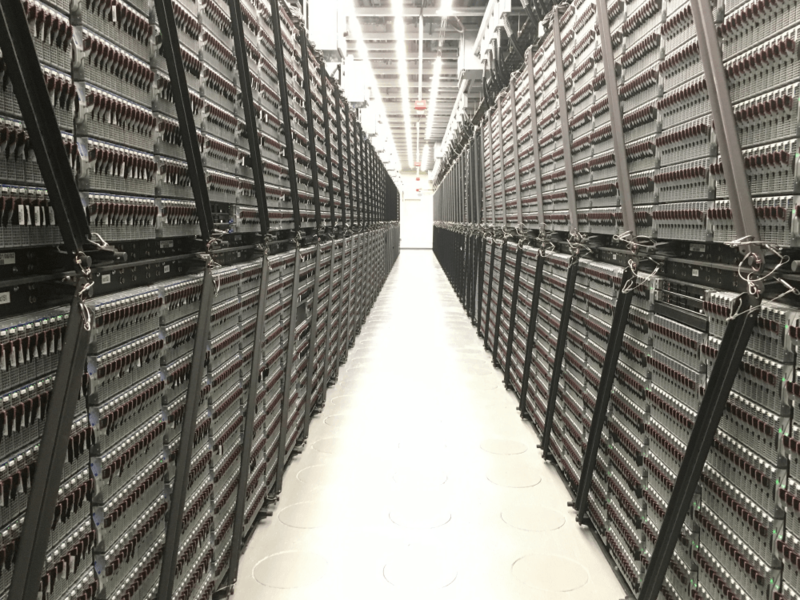 We updated our strategy to account for the computational scale of the site to determine the appropriate performance level required for each storage tier; this enabled us to improve our ability to meet the quality, SLA, and cost targets. Over the last seven years, we have stuck to our goal and delivered year-over-year results. Our Design data center spend has remained essentially flat, but we have increased EDA-MIPS (electronic design automation-meaningful indicator of performance per system) capacity from 100 percent to 650 percent, while unit cost has decreased by 85 percent. For Office and Enterprise services, spending has decreased by 36 percent while the number of OS instances has gone up from 100 percent to 285 percent, resulting in a cost-per-service-unit decrease of 77 percent. Much of Intel’s data center workloads are high-performance computing (HPC) for silicon design. The total cost of ownership analysis including servers, storage, network, and operational costs shows internal hosting of these HPC workloads is significantly less expensive than if we had used public cloud services. Previous article:Will Blockchains Deliver Healthcare Interoperability?